How many times have you made a New Year’s resolution, only to lose interest or put it in the forever pending basket? 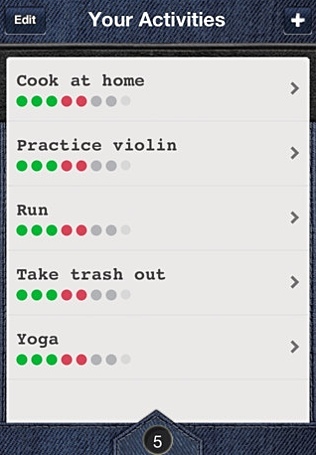 Despair no more as the productivity app Wonderful Day will keep you accountable for your actions. 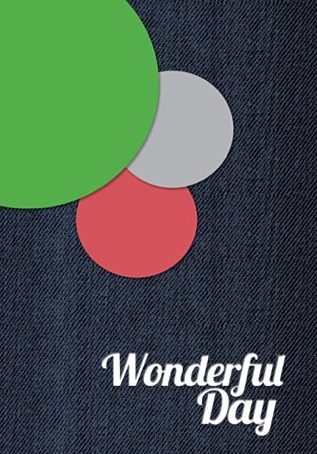 Wonderful Day is a simple, elegant, useful app for your iPhone or iPod touch. You simply add an activity such as running, cooking at home, studying, or giving up smoking. They are your tasks and you can add as many as you wish to track. 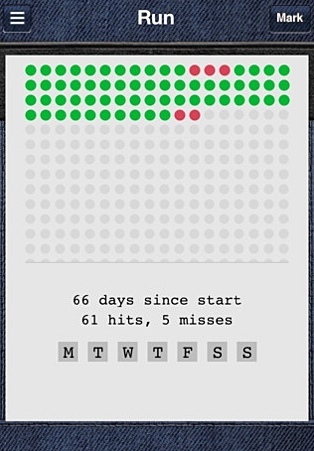 Users can set an activity to run on specific days, or each day of the week. You can set a goal of running each weekday, or studying the violin only on Monday and Thursday. This app will be perfect for children to track the chores their parents request of them, such as taking the trash out. Each day is assigned a dot. A green dot indicates a successful undertaking of the task. A red dot indicating your inability to complete the task on the given day. Each morning at 8:00 a.m. you will be presented with a notification detailing the list of tasks that you have for that specific day. The app is dependent on the honesty of the individual and will only function to its full potential should you be honest with your entry of success or failure to complete a task. You will find yourself becoming addicted to seeing a successful outcome but at the same time some users may be dismayed should they continuously fail to complete a task. Once a yes or no response has been entered users can, after the date of entry, change this to the opposite value. I didn’t like this as it allows too much opportunity to change the results in order to achieve a more favorable outcome. Overall, the app runs without issue. It is simple in its implementation but if used for its intended purpose will assist you to reach your goals. One key element of disappointment was the lack of social networking within the app. Many people including myself would feel compelled to share certain activities with Twitter, Facebook, and Google+ followers. It would certainly help many individuals to stay motivated and accountable for their results. This coupled with the inability to change results post entry would secure the app’s position as a truly useful and accurate productivity app for iOS. Therefore, I am awarding this iPhone app a MyMac.com review rating of 7 out of a possible 10. 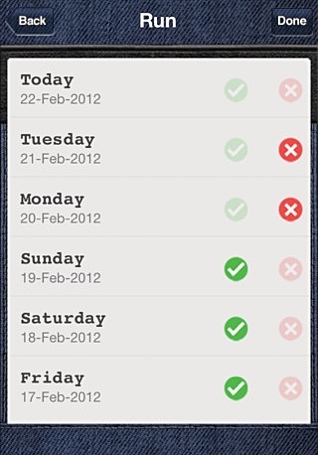 Do you think this app would be appropriate for business reminders? I need something to remind me of stuff to do every day. At this point in time I would say no. Generally business reminders require much more granular information and options. In saying that if your goals were simple i.e. complete a presentation or call client then it may work well. The advantage to this app is in its simplicity. It requires minimal effort from the user.